Last year we saw mermaid waves, platinum blonde, short bobs, and long and straight hairstyles. Whilst some of these are making a comeback, here are a few of my favourite new trends we will be seeing a lot more this year. Let's start with the Long Bob. It's time to grow out those short bobs! The Long Bob is a blunt haircut with no layers. It is longer than the usual bob, with hair above-the-shoulder length or slightly longer and it is perfect for spring and summer. 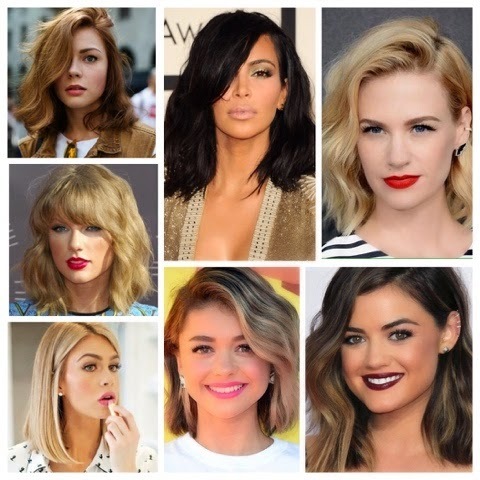 Celebrities seem to be loving this trend as more and more of them are chopping off their famously long locks and I am loving the results! This haircut suits those with straight and wavy hair and they can be personalised which means they can suit all face shapes! And imagine how much shampoo you would save, seriously considering it! Be prepared to make a trip to the salon every 4-6 weeks as this cut tends to lose shape faster than longer haircuts but it's totally worth it. I have 2 words for you: Très chic! I am not completely sold on this next one. But I think people with confidence and style can definitely sport the newly famous Granny (Grey) Hair. Ombré hair is so in the past! Young women are now dyeing their hair grey and older gals are no longer trying to cover them up. At first I thought this was a bit weird, but it kinda grew on me. This isn't exactly a trend I will be following mostly because I don't think I have the face for it but I like how futuristic and modern the colour is and how pretty the above women look. 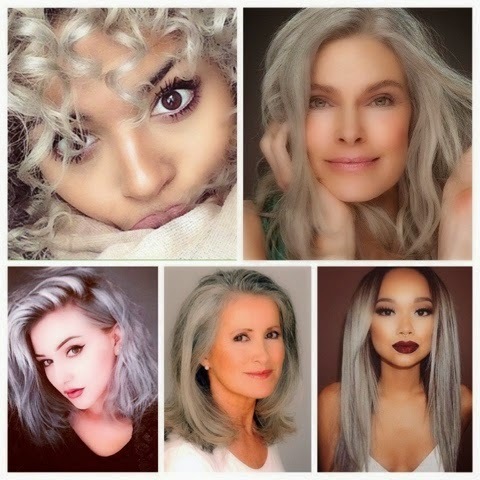 And if you want to see more silver hair lovers, Instagram is flooded with pictures of models, selfies and proud grey-haired people; #grannyhair. Low Ponytails were big last year and they are not going anywhere this season! I love how sophisticated this looks. I have been wearing this hairstyle a lot lately because it is so simple and sometimes I just cannot deal with my hair that day! All it takes is wearing your ponytail loosely at the nape of your neck and you can also try adding some crimped sections to add texture, or even a few braids. It can look so chic and they work with side or middle parting, straightened and curly locks which makes them so versatile. They are also an amazing way to get rid of hair from around your neck in the upcoming summer and for you to show off some nice jewellery. 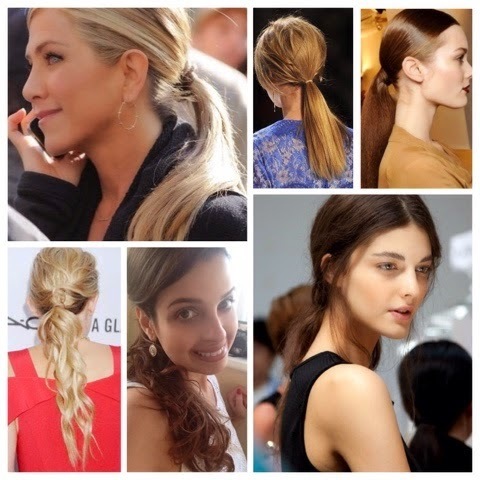 Wear your hassle-free ponytails from daytime to evening and you will be right on trend. Love it! Next up...Braids! They have always been a favourite of mine and boy am I happy to know they are back on trend! Whatever your face shape or preferred style is, each braid can create a unique look and there is definitely a style that suits you. Some braids can be more complicated than others, but now it's the time to brush up on those braiding skills. There are tons of tutorials on YouTube to help you perfect those braids and I did a post a while ago which included some braided hairstyles so you can check that out here. Mix things up a little, try a fishtail braid, a French braid or even something a little more complicated, remember practice makes perfect. 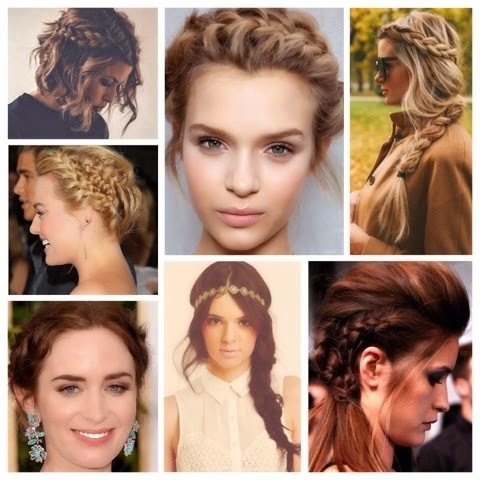 There are so many possibilities so have fun and enjoy your beautiful braids this spring! Warning: Not for the faint-hearted! 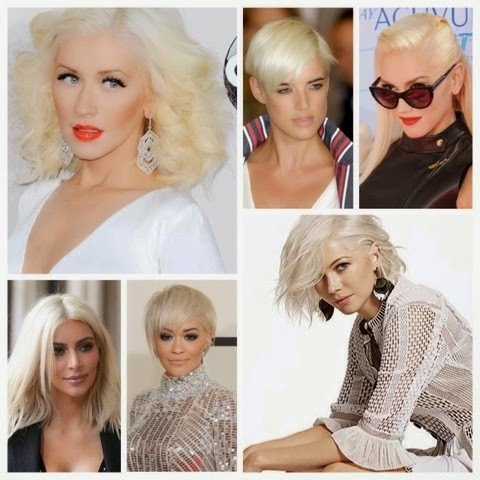 The Ice Blonde has already been a big hit this year and here a few celebrities rocking this hair colour. You will all recall Kim K breaking the Internet earlier this year with her dramatic hair change (which is now back to raven black- I guess she got bored?). And I must say, the above women look flawless. If you are thinking of embarking on this trend, make sure you ask your hairdresser which shade would be best for your skin tone (whether the undertone should be white or yellow). And it is good to remember that unless you have a similar hair colour already, getting to Ice Blonde can be damaging and will require a lot of maintenance and TLC (and monies)! What about you, will you be trying any of these out? Let me know below! Love the braids. Will you be doing more tutorials soon?